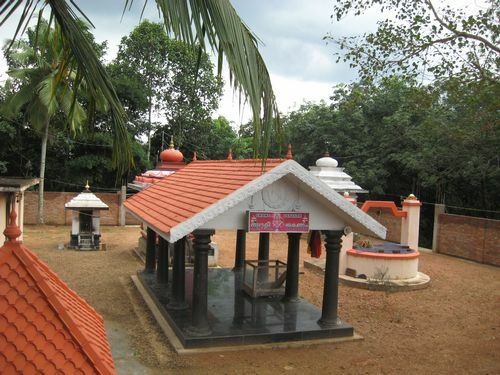 Gurunathanmukadi Sri Ayyappaguru temple is situated on a hill gifted with beautiful landscape, near the banks of Achankovil River, on the opposite side of Pandalam Sri Valiyakoickal Dharma Sastha Temple. 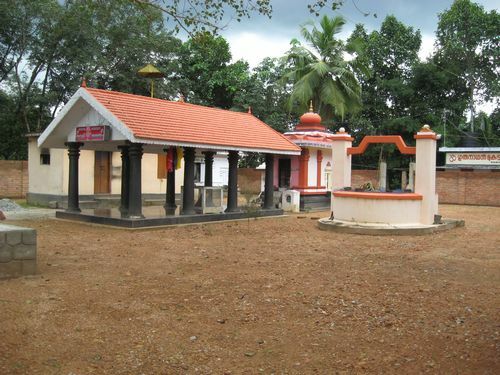 The legend of Ayyappaguru temple is intertwined with Pandalam kingdom .The legend says when Sri Manikandan (young Ayyappa) was brought up at Pandalam palace, he learned ‘vidya’ from the guru called Sri Gurunathan who was an incarnations of Sivachaithanya and was a Mahayogi. 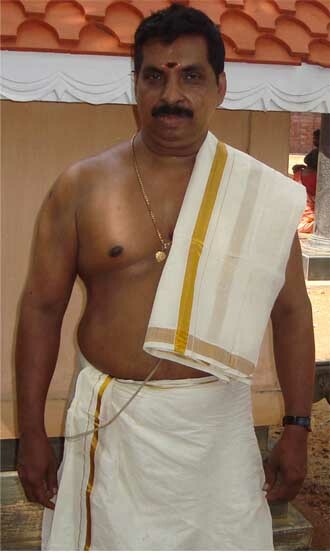 Sri Gurunathan reached Pandalam as guided by Lord Siva in a dream. With patronage and blessings of Sri Rajasekharan, then king of Pandalam, Sri Gurunathan established Gurukulam on a hill and he became Gurukula Guru. 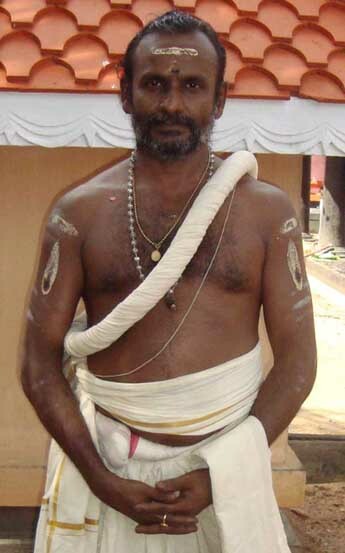 He taught Manikandan various sasstras. Manikandan became an expert in combat art also. Gurunathan became very much pleased in the learning capability of Manikandan and rewarded him with his golden ‘Churika’ . 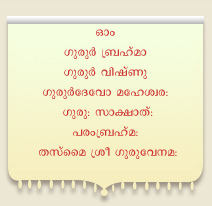 Sri Manikandan cured the inborn deafness and dumbness of the son of Gurunathan as gurudakshina . Thus, Sri Ayyappa revealed his divinity to the world. Sri Gurunathan spent the rest of his life in the Gurukulam hills and later entered into ‘holy samadhi’. This holy hill is now known as Gurunathanmukadi. Indeed, the hill has become a holy place due to the blessings of Sri Ayyappaguru and also due to the holy foot contact of Sri Ayyappa. In these holy hills there is a temple complex where idols of Sri Ayyappaguru, Sri Ayyappa, Lord Siva, Lord Vishnu, Sri Bhadra, Lord Ganapati, Sri Nagaraja & Nagayakshi are being worshipped according to religious rites.However unluckily we could not, so far, give enough publicity to the legendary importance of this temple complex, so as to attract the devotees from far and wide. In the cassette released in 2000AD with the consent of Sri V.G.K Menon, the then President of Thiruvathamcore Dewsome Board, there is a mention regarding Gurunathanmukadi Gurukulam. We regret to say that nothing more has been done by the T.D.B authorities so far, to give wide publicity among Ayyappa devotees about the Gurukulam temple complex. We hope that we will get more opportunities in near future to attract Ayyappa devotees to the holy Gurunathanmukadi. Certainly the devotees should be informed of who was the Guru of Sri Ayyappa Swami, where did he learn the Gurukulavidya and where Guru entered Samadhi. We know that Sri Ayyappa Temples have been built all over the world. But it is the one and only temple for Sri Ayyappaguru, which is at Gurunathanmukadi. Dear Sri Ayyappa devotees come along this Gurukulam and have the glimpse of holy vision and experience the eternal bliss. Then only Sabarimala pilgrimage will be completed. We pray for the help and blessings of Sri Ayyappa Swami.